In an attempt to triggering another price war before the launch next generation 3G Mobile and Data service by private operators in Delhi telecom circle, India’s first 3G Mobile service operator Mahanagar Telephone Nigam Ltd (MTNL), today announced the launch of 3 new 3G Data Plan for its postpaid and prepaid subscribers. 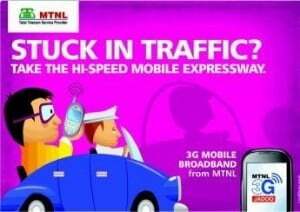 MTNL slashes the 3G Unlimited Data Plan cost up to 58% and introduced bucket of new 3G offers including Unlimited Prepaid/Postpaid Advance Rental/Payment Plans.With the launch of new 3G recharges now the Unlimited 3G Data Plan will effectively cost at just Rs.750 per month for Home and Roam usage. 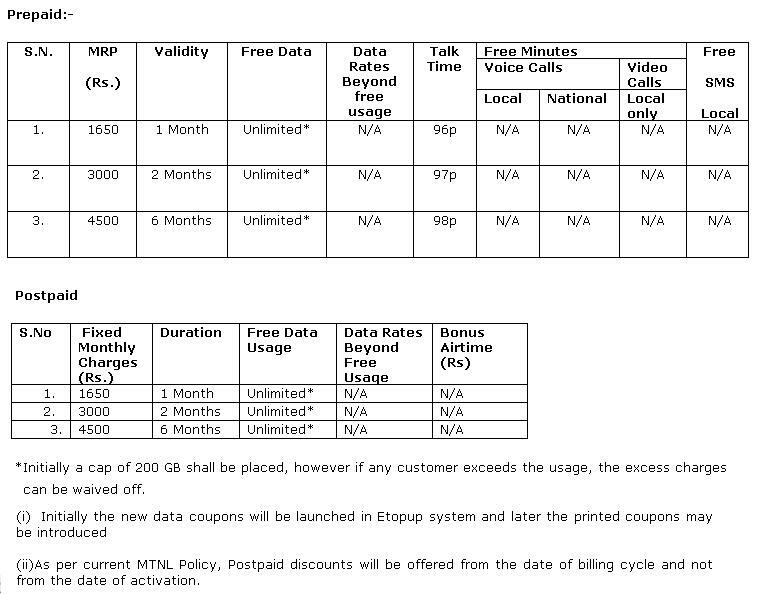 MTNL Delhi introduces 2 new “Advance Rental Data Card Unlimited Plan” and with the Plan-4500, the effective cost of Unlimited 3G Data Downloads will be as low as Rs. 750/month. The new new 3G Data plan for Rs. 4500 comes with the validity of 180 days and provide Unlimited Free High Speed wireless Broadband 24×7 anywhere in India (Home and Roam). However Initially a data cap of 200 GB per month shall be placed in Unlimited Plans, however if any customer exceeds the usage, the excess charges can be waived off. MTNL 3G subscriber can enjoy Free data Roaming in more than 700 cities across India with BSNL 3G network. The new data coupons will be available through Etopup system and Promotional scheme shall be implemented for 90 days w.e.f 31.01.2011 to 30.04.2011. MTNL service provider kindly asst my problem i m also using MTNL data plan USB Stick micromax but its not connected so kindly resolve my problem. Is MTNL 3G Data roaming free in BSNL networks pan india?? I couldn’t find anything related to it in MTNL mumbai website.